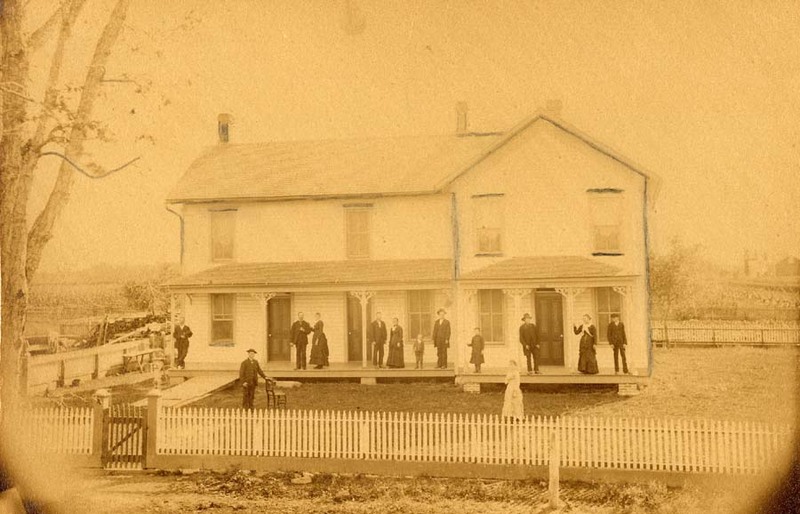 Rare photo of an early log cabin in the Culver area which adjoined "the old Voreis farm in Union Township," according to the description on the back of the photo (see image at right). 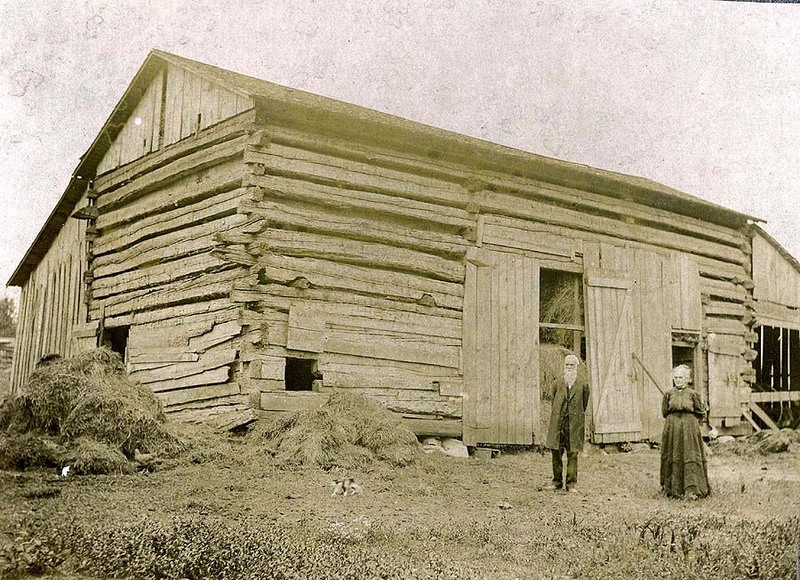 The same caption also states that the cabin was later the "old Densmore place," and was made of logs hewed by W.D. Thompson. Exactly which Voreis farm in Union Township this would be is a mystery, at least to me. Anyone with more information is encouraged to contact us. 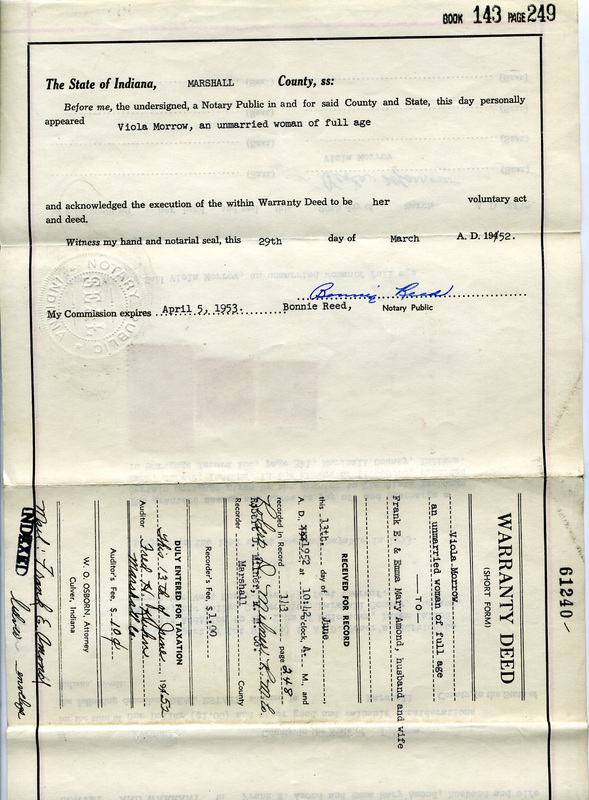 The front (left) and back (right) of the property deed of 1952 showing the ownership of Frank and Mary Amond of "Lot 6 of Toner's Addition," an area near the present Lake Shore Drive (called Toner Ave. around the turn of the century). 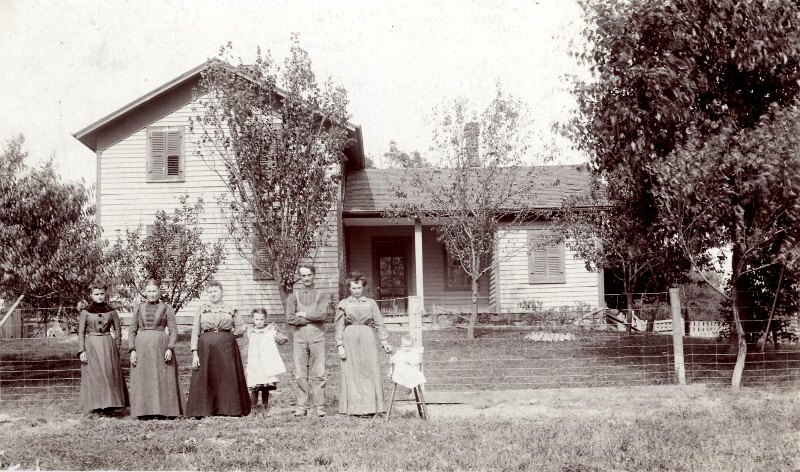 A circa 1900 photo of one of the Easterday family homesteads, this house is located at 18938 Tamarack Road today, and is occupied by Jeanette Geiselman, who donated this photo. 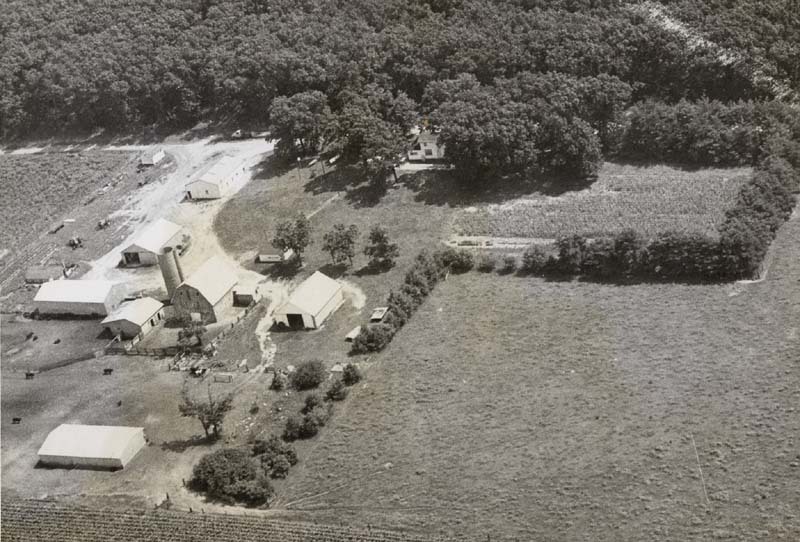 The wedding of Sam Houghton and Bertha Jones took place at the Houghton farm on State Road 17, just north of Culver. Thomas Houghton is second from right in the row of seated adults. 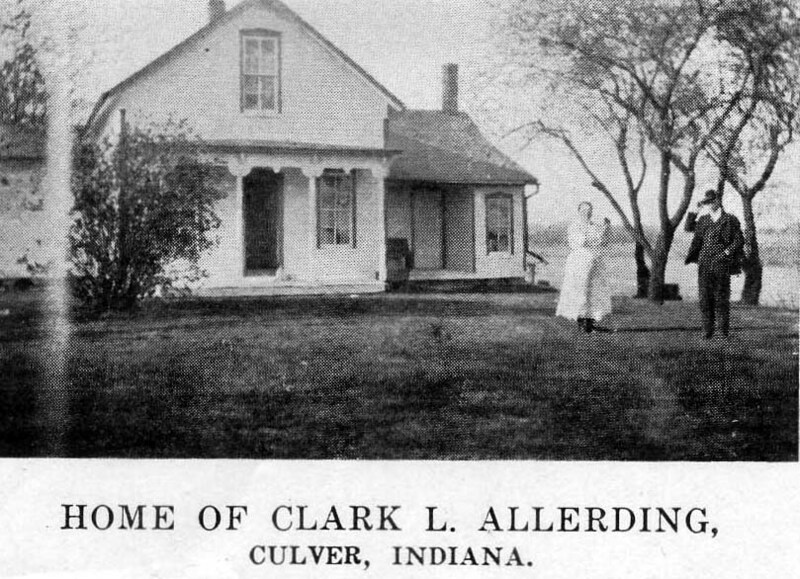 The Houghton family were among the orignal, 1836 settlers to the Culver area, and this property one of many they developed from those early years. 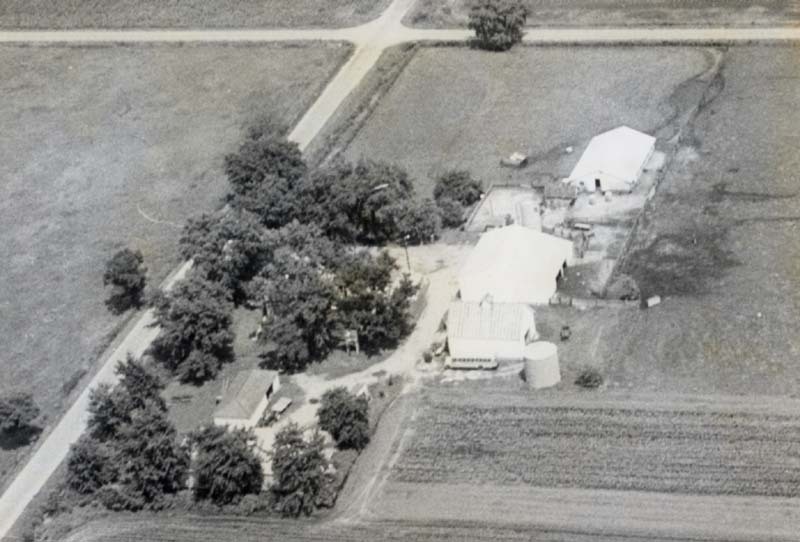 The house and farm was known to many area residents before it burned in the 1970s. 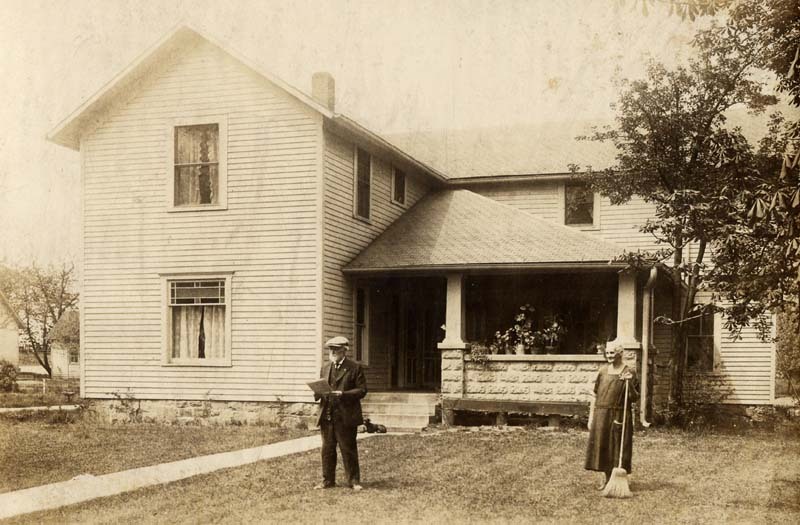 This is one of a few existing photos of the house, which sat just north of the intersection of SR 17 and 17th Road, on the west side of the highway. Today the area is a field. 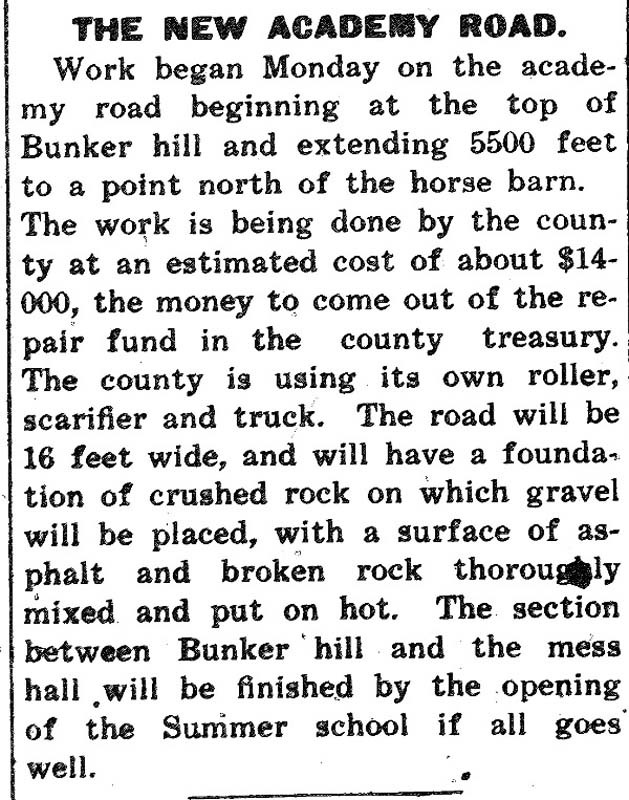 A June 11, 1919 article from the Culver Citizen reporting the construction of a new “academy road” starting at the top of Bunker Hill and extending 5500 feet to a point north of the horse barn. Bunker Hill was the hill that bordered the Vandalia railroad to the north, in the area between the town park and the Academy campus (Papa’s pizza, for example, sits on the crest of Bunker Hill today). Allegedly, the tern “Bunker” was applied to the hill as there were in fact bunkers dug into the hill containing materials for use by the railroad. Thus, the portion of road described here is today’s Academy road from its intersection with Lake Shore Drive, to the horse barn. The western stretch of Academy Road was not added until later..
A July, 1968 photo of the pier at the end of Winfield Street where it intersected Davis Street on the south side of Culver. Pictured are Marizetta Robinson and Dariel Sara Thompson. 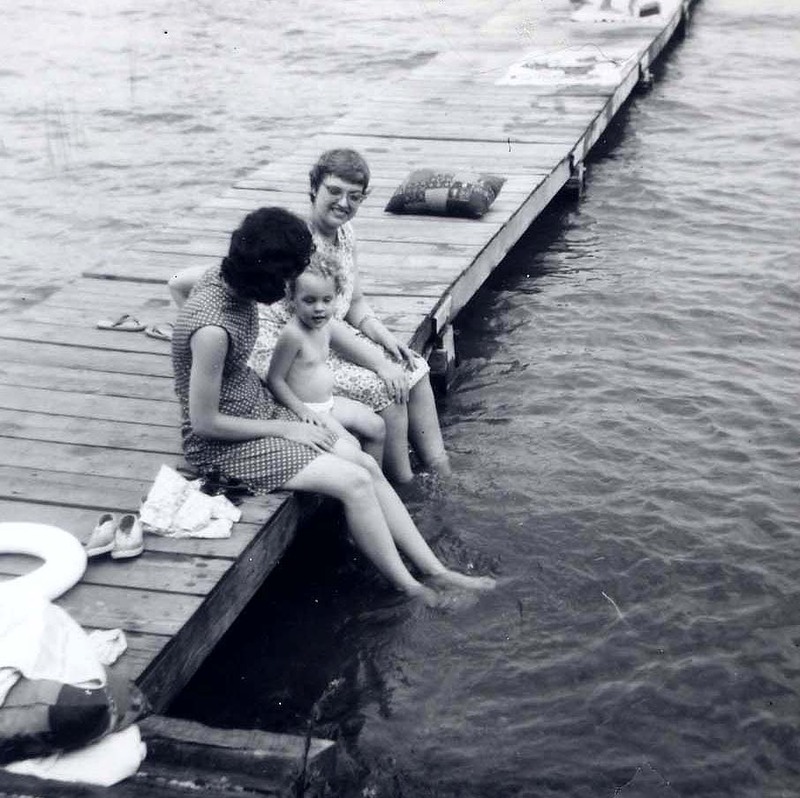 For years, the pier provided a swimming area for youth on that end of Culver, before the public access lands on the lake side of the old Vandalia railroad were purchased in the 1980s and 90s and became private land. 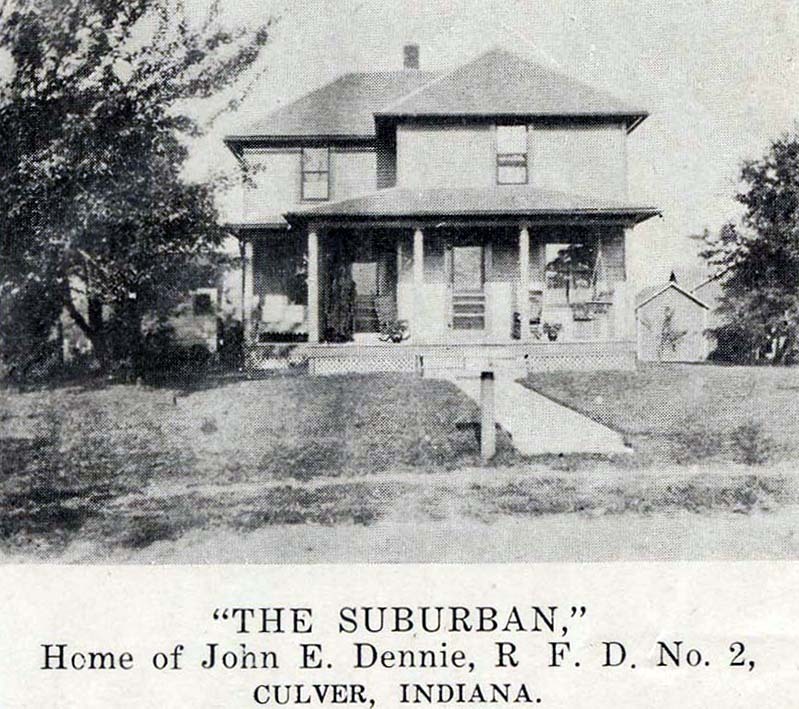 "The Old Sammy Obsorn Homestead," an undated, very early photo of one of Culver's earlier properties. May, 1927 photo of one of Culver’s first doctors, Dr. B.W.S. 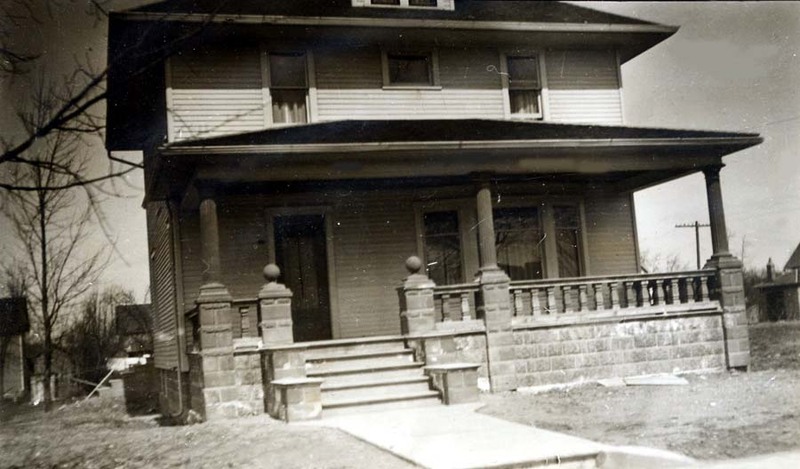 Wiseman, standing in front of his home on the west side of South Main Street (between Marmont and Clover Streets) in Culver. 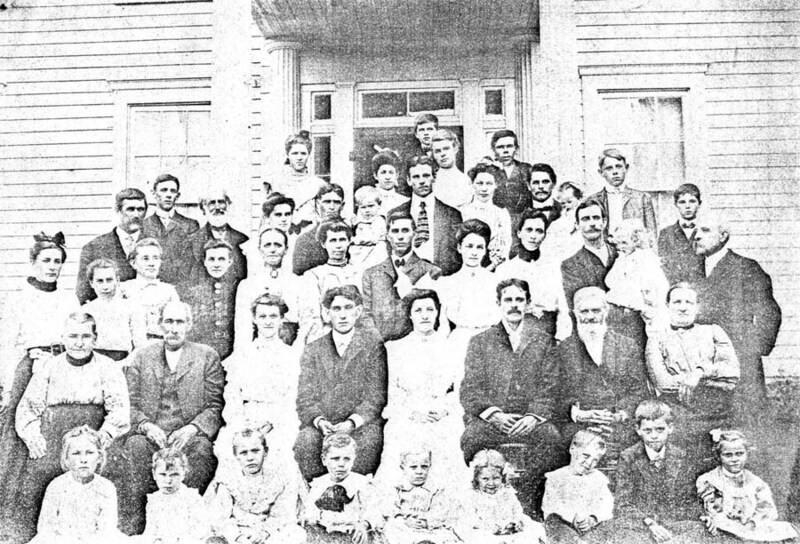 Wiseman’s descendants included the Scruggs family, who still occupy the house – which was given a historic landmark award – today. This photo comes from Fran Guiselman. 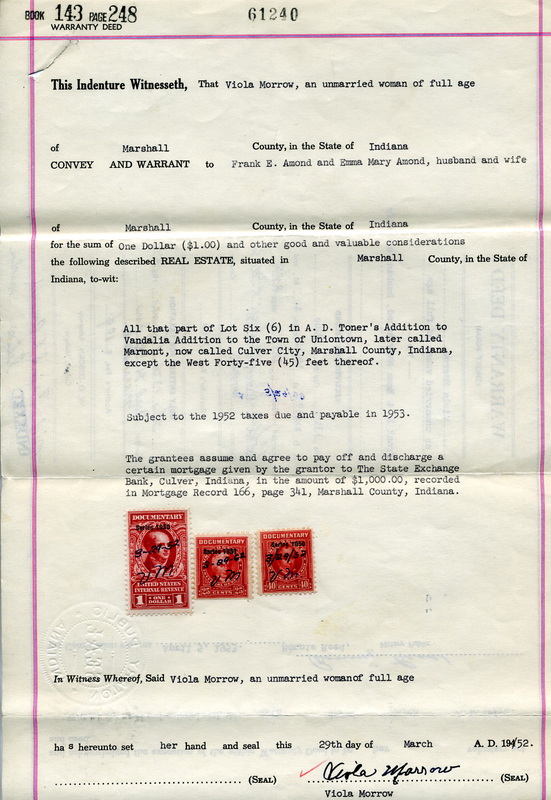 The hand-written description follows. "Scene on the farm of J.E. 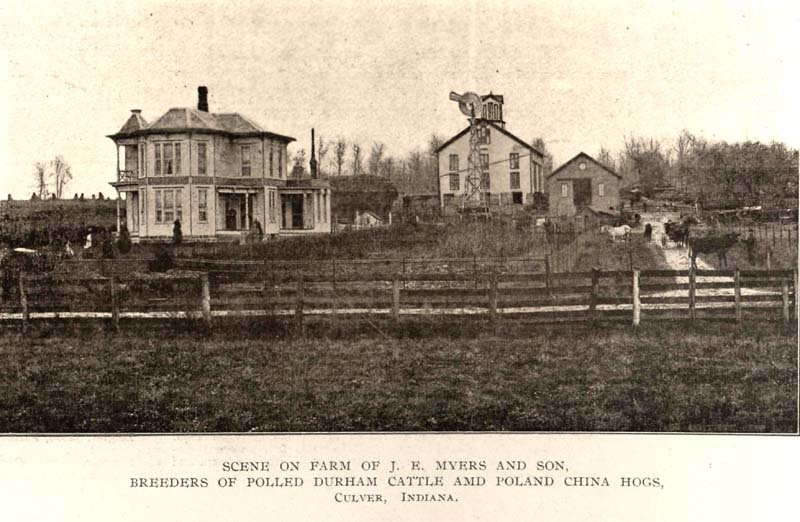 Meyers and Son, breeders of Polled Durham cattle and Poland China Hogs." 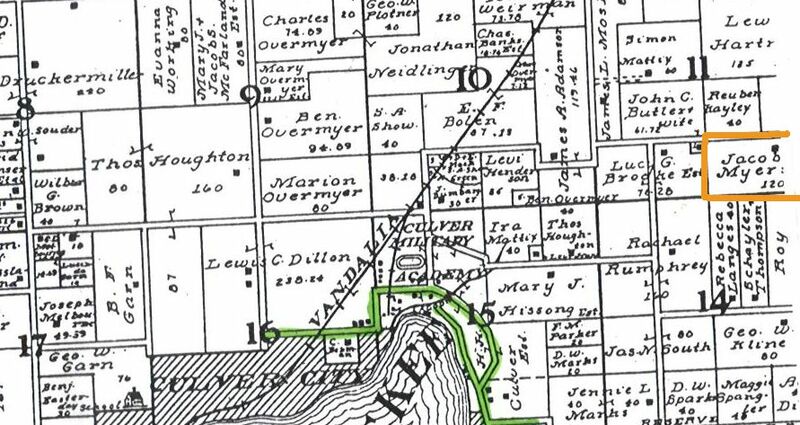 Thanks to Judi Burns for clarifying that this image epicts a farm located northeast of the Culver Academy (see plat map, from 1908, at right). Any detail on this farm, or on J.E. Meyers and Son, would be welcome. Chautauqua Assembly (South Culver) See Also: Town Public Buildings and Lands Article: "Hotels of the North Shore" by Mark Roeder"